The Bureau of Labor Statistics has released its most recent unemployment data. We knew that black folks (especially men) would be at the bottom, we just didn’t know how bad. Well, it turns out that the numbers exceed even the most pessimistic predictions. If you were white in America, the month of August was pretty good. White unemployment remained consistent across the board, and went down for white males. Overall white unemployment dropped from 8.1 percent to 8 percent. White males saw a decline from 7.9 to 7.7 percent. White women and teens saw their unemployment rates remain unchanged at 7 percent and 23 percent, respectively. The Obama Administration has a serious problem. Every time the numbers show that chronic black unemployment has reached crisis levels, I think back to the Obama Administration’s delusional assertion three years ago that a “rising tide will lift all boats” (that targeted economic policy would not work as well as a general policy that helps everyone – after all, he is “everyone’s president”). Well, I’m here to report to the Obama Administration: The tide not only missed our boat, but black folks are sinking to the bottom of the economic ocean. One of the most telling signs of racial inequality in America is the fact that African Americans are not only subjected to the very worst economic circumstances in the country, but we are also not allowed to be upset about it. Middle class Tea Partiers can gather in Washington to complain about health care, wealthy white folks can get upset about a tiny spike in taxes, and white Americans can remain justifiably outraged over a measly eight percent rate of unemployment. But when African Americans say a word about widespread and virtually unprecedented economic suffering in the presence of a black president, we are referred to as Uncle Toms or told that we are demanding too much. Perhaps it’s time to grow up and get a political education. Instead of being pacified by a beautiful statue of Dr. King or appearances by President Obama on the Tom Joyner Morning Show, it’s time that we force all of Washington (including Barack Obama) to have their “Beyonce Moment”: Say my name. Let me know that you are with me in my suffering. Don’t force my people to live in the socioeconomic basement in painful silence so as not to offend a powerful black man from an Ivy League University. The call to consciousness within black America is not a matter of attacking or hating President Obama. It’s a matter of getting the Obama Administration to admit that they were wrong. Like wide-eyed children, we trusted the Obama Administration and their Wall Street-wired economic advisers to incorporate policies that would make life better for our people, in addition to the rest of America. Well, the evidence is clear and the verdict is in: Those policies have not worked. The president would be wise to let go of the charade, admit that mistakes were made and profess that it’s time to take the country in another direction. Additionally, African American leaders who continue to work to elevate the Obama campaign without demanding true reciprocity in exchange for the black vote risk being perceived as political slum lords. Again, this is not to say that one does not have the right to aggressively campaign for President Obama. But it’s another thing to present the president as “the really cool brother you should vote for.” Instead, addressing administration policies and gauging their sensitivity to our community’s needs should be mandatory before simply pulling out the “black man card” for the next election. One of the most painful challenges of demanding our rights from Washington is that we are forced to confront the possibility that the black man we loved so much may not have our best interests at heart. Also, with every mention of black unemployment comes the predatory glance of blood-sucking Republicans, who are waiting with open arms. Finally, there is the uncomfortable reality that we are harming the progress of one of the greatest black men in American history. To have Barack Obama in the middle of the government that has played a powerful role in building this cesspool of political neglect is like a slave’s best friend guarding the master’s house on the night of the revolt. In spite of our respect for Barack Obama, there must come a time when our love for black folks must supersede any quest for personal or political gain. There must be a time when empty excuses go out the window, and where African Americans engage in individual and collective action that will get us out of this hell hole. Times have gotten too critical for us to worry about protecting Barack Obama or anyone else – I just want to protect our people. 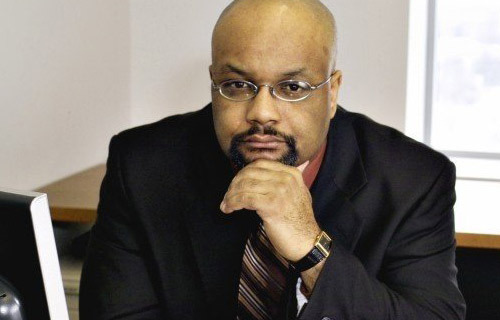 Dr. Boyce Watkins is a Professor at Syracuse University and founder of the Your Black World Coalition. To have Dr. Boyce commentary delivered to your email, please click here. Follow us on Facebook by visiting this link.